BodyMekanics is the platform that empowers you to take charge of your own personal fitness. Most times customers are prescribed a fitness professional without consideration of the preferences of the client as it pertains to personal goals, styles and what medium to deliver service. 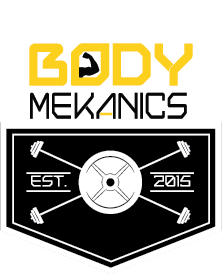 BodyMekanics creates a marketplace consisting of a hand selected variety of fitness professional or as we like to call them “Mekanics”. These experts provides the client with options on how they want to be trained, interacted with or related to. The ultimate goal is empowering clients to be more in charge of who delivers quality training to them.. Designed for you. And your fitness goals.